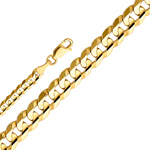 This unique 14k gold 4mm figaro chain measures 4 mm in width and weighs approximately 9.2 grams. 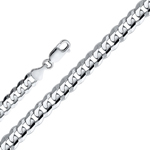 This unique 14k white gold 4mm figaro chain measures 4 mm in width and weighs approximately 9.2 grams. 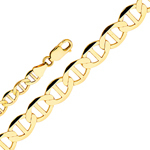 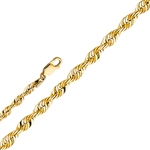 This unique 14k gold 3mm solid diamond cut rope chain measures 3 mm in width and weighs approximately 8.9 grams. 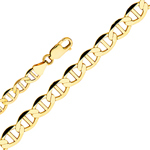 This unique 14k gold 4mm cuban concave chain measures 4 mm in width and weighs approximately 10.4 grams. 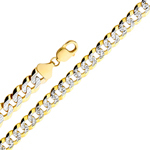 This unique 14k gold 4mm white pave figaro chain measures 4 mm in width and weighs approximately 9.2 grams. 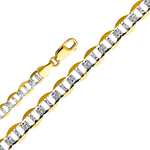 This unique 14k gold 4mm white pave cuban chain measures 4 mm in width and weighs approximately 10.4 grams. 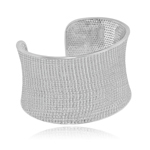 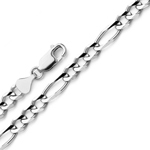 This unique 14k white gold 4mm cuban concave chain measures 4 mm in width and weighs approximately 10.4 grams. 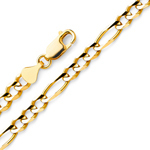 This unique 14k gold 4.4mm flat mariner chain measures 4.4 mm in width and weighs approximately 7.8 grams. 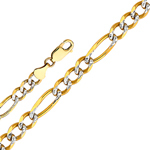 This unique 14k gold 4.4mm white pave flat mariner chain measures 4.4 mm in width and weighs approximately 7.8 grams. 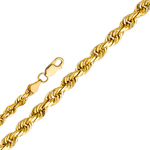 This unique 14k gold 5.5mm flat mariner chain measures 5.5 mm in width and weighs approximately 10.6 grams. 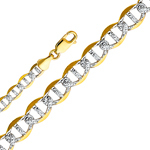 This unique 14k gold 5.5mm white pave flat mariner chain measures 5.5 mm in width and weighs approximately 10.6 grams.